Alicia Russo has a strong passion for technology and brings a deep understanding to the highly technical matters on which she works, having spent over a decade undertaking academic research in the medical field. Her peers describe her as exceptionally creative and insightful, and this creativity – along with her passion for technology – translates into favourable results. Ms Russo has significant experience in IP due diligence and licensing associated with high-profile acquisitions and is the lead of the firm’s due diligence practice. She has successfully represented clients in complex patent litigation and contested proceedings before the US Patent and Trademark Office, as well as securing patents for clients in numerous technical fields, including the medical and energy fields. 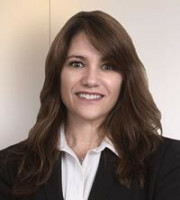 She also acts as an ardent representative for clients abroad in foreign patent litigation, oppositions, invalidation proceedings and patent prosecution and has a unique understanding of global IP considerations that is critical in helping clients to develop consistent worldwide strategies. In addition to having experience and a strong understanding in the medical field, including biologics and small molecule pharmaceuticals, Ms Russo has significant experience in the fields of energy, fibre technology, building materials, biotechnology and bioinformatics. Ms Russo’s scientific career resulted in numerous publications in noteworthy scientific journals including Science, Nature, Cell and the Proceedings of the National Academy of Sciences, with articles featured on the cover of both Nature and Cell. She is also extensively published in the legal field.